We had the pleasure of hosting our first Social and Emotional Learning Conference at Graded from March 9-11, 2017. 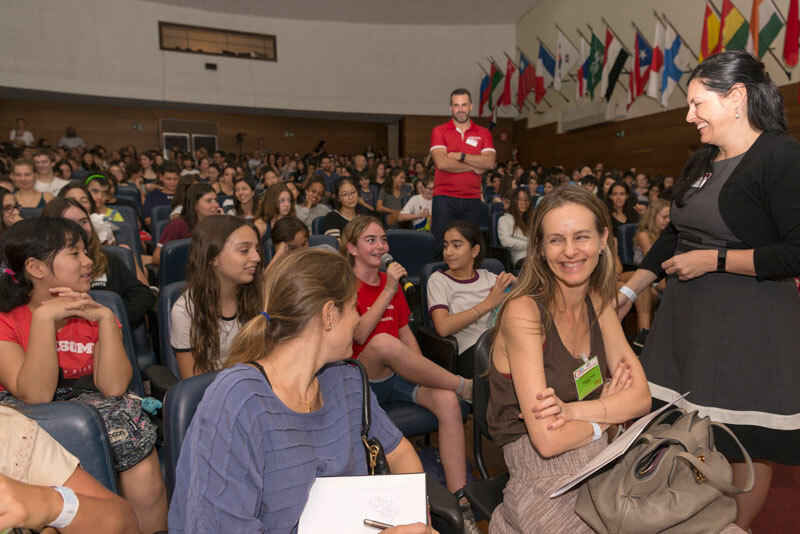 We heard from renowned speakers, such as Dr. Catherine Steiner-Adair from the US, Dr. Tamara Russell from the UK, and Adriana Fóz and Márcia de Luca from São Paulo. 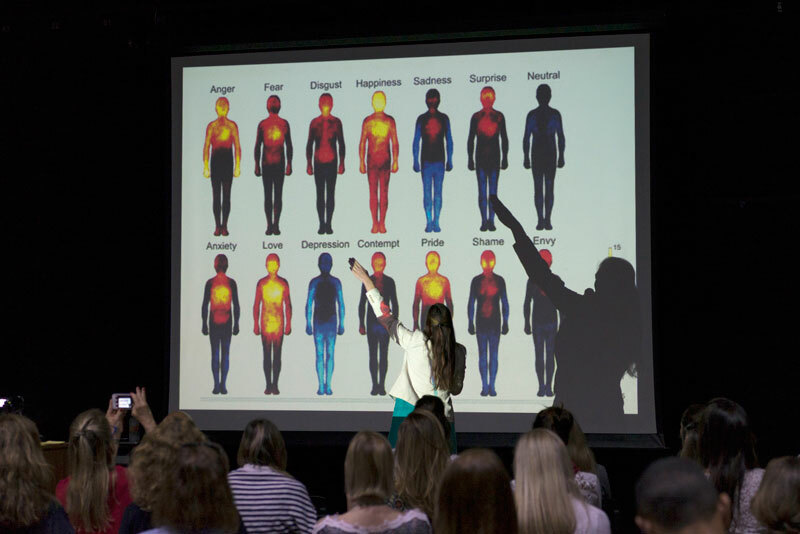 It was a worthwhile opportunity for parents and educators to learn more about a range of topics, from the effects of technology and digital use on family and school life, mitigating anxiety and stress, technology and game addiction, brain research, building strong social emotional learning programs, to mindfulness and yoga. From presentations to workshops, participants came away not just with a new sense of understanding, but with useful practices they can use at home and school. Social and Emotional Learning (SEL) is the process through which we acquire the knowledge and skills necessary to manage emotions, achieve positive goals, show empathy for others, establish positive relationships, and make responsible decisions. In the context of education, SEL focuses on teaching social and emotional skills to students and creating a safe, connected learning environment. Research clearly shows that connected school environments and the promotion of social and emotional competencies are integral to learning and academic success. What does SEL look like at Graded? SEL is not a new topic at Graded. It is central to our program and ongoing conversations. The Lower School delivers curricula each week that helps students build self-management, empathy, and collaboration skills. In the Upper School, through advisory, flex, assemblies, and grade level meetings, we explore a range of these issues. In February, the Middle School focused heavily on digital citizenship -- helping our students reflect on their presence online. In the High School the focus has been on academic integrity. 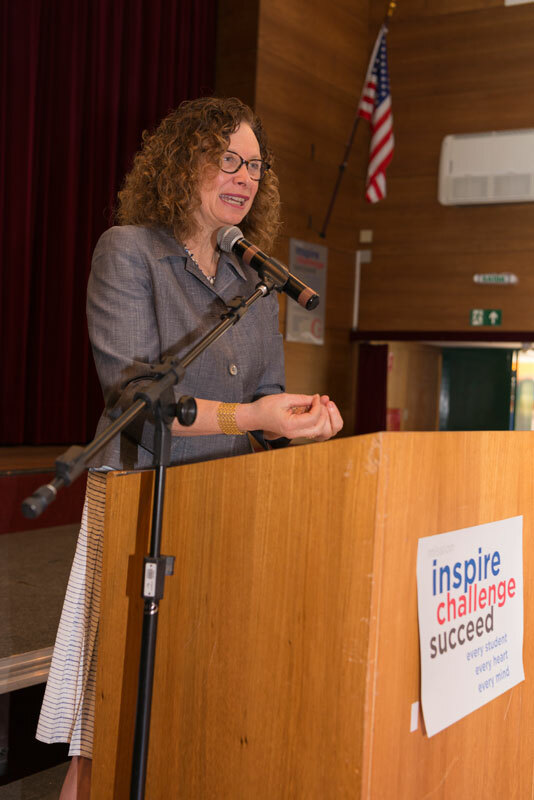 It is central to our strategic planning, because we know that students who are resilient, and have positive social and emotional competencies, will do better academically and as members of our community. We encourage you to continue your conversations, reading, and development on these issues. It is through a home-school partnership that we build strong, resilient, and caring students who are socially and emotionally aware. Which way do you roll? You know, first thing in the morning… to the center of the bed to snuggle or to the outer edge to reach for your phone and check for messages? This choice is critical, it defines how you start your day, how you create your priorities and as a marriage and family therapist, I highly recommend rolling inward! Up and at ‘em--earlier! Get up 30 minutes earlier, check your email, do everything you need to do online before you wake up your children. Plan ahead so that from the time they awake until they are out of the door, no screens for anyone. You need to help them and not be distracted or on edge. Kids can hear the difference in our voices when they need us and interrupt us when we are writing email or scrambling eggs. It’s much nicer to say -- “One sec, honey” -- than the sharp- edged -- “Wait, don’t interrupt me.” It’s a critical transition time for your children and you want to be a calm presence as they start their day. No screens in the car, please! No phones or screens on the way to school. We have so little time together. Let this be time to chat or sit in the sound of family quiet and day dream -- this can be a creative, calming, and synthesizing time for children. Hey, buddy, good to see you! Children like and need to be greeted by someone who is happy to see them. No phones or screens when you pick kids up. For you and for the kids in the car! The emotional weather report. Once you allow your kids to text or play with screens in the car, you dilute the likelihood that you will have the kinds of conversations that tell you the emotional weather reports of their day. If you allow them to text in the car, you are much less likely to hear the full report of their day -- they will be texting their peers. Play in the 3D world! When your children come home from school, have snack and talk, hang out, play outside, play inside -- but don’t punctuate coming home with screen time that isn’t for homework. Children need to play in the three dimensional world, to interact with people, and play. They need to pace themselves, relax, and not get sucked into mesmerizing, junk games or TV. Create your own “Family Responsible Use Agreement” that is posted on the fridge or by the computer with understandings about what, when, how, and how long different screen activities are OK.
Parents need to come home from work and transition well also! Stand in the rain, snow, or sleet, but don’t walk in the door in the middle of a phone conversation or texting! When you come home you need to plug into the people you love most in the world and show them that they matter to you by being present to greet them with your full attention. No screens or phones at the dinner table and this includes you! Kids hate hypocrites and so do your partners. If it’s really that urgent, move away from the table. Don’t make exceptions or they will become the rule. Multi-tasking is a myth. Nothing spoils the magic of a bedtime book more than a parent checking a text. Bath and bedtime are quiet, cozy unplugged times. Multi-tasking is a myth and there is nothing like a slippery floor, bad fall, or choking on water incident to make that clear. At the end of their day and our day with them, our children need to know they are precious and matter more than anything to us. No screens in the bedroom for anyone, kids and adults -- all devices should recharge in the parent’s closet. Solitude - Unplug! Tech time out for you and the kids. Renew, refresh, and reflect. Tech can give us many things, great information and so forth, but not this essential human experience -- solitude and the spiritual connection of being alone. Dr. Catherine Steiner-Adair is author of the award-winning book, The Big Disconnect: Protecting Childhood and Family Relationships in the Digital Age.